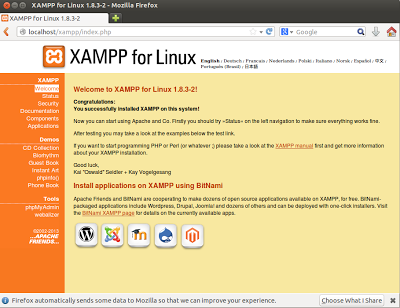 How To : Install XAMPP 1.8.3 (with PHP 5.5) in Ubuntu/Linux Mint ~ Your Own Linux..! 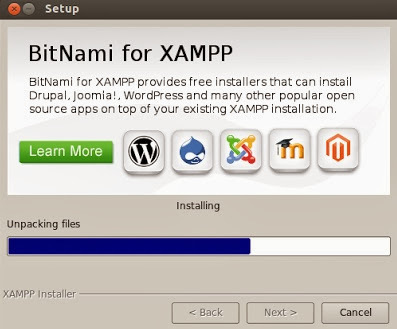 X - Read as 'Cross' - Describes that it is a Cross Platform package. A - Apache - HTTP Server. M - MySQL - A Database Management System. P - PHP - Scripting Language used to create the server-side sites. P - Perl - A Programming Language. This will begin the setup wizard. giving error as run command not found. how to proceed with this?